The EU was originally known as the EEC or Common Market which was started in 1957 with 6 member states. The UK joined in 1973, followed by Greece in 1981 and Spain and Portugal in 9186. The 28 EU Member states have pooled some of their “sovereignty” which means they delegate some of their national decision making power to be made at the EU Level. A key concept is the single market principle for goods and services which also means that its 500 million citizens are free to move and settle anywhere within the EU. As well as this a single currency, the Euro, was introduced. Over the years some countries have chosen to opt-out of various policies. Part of the Conservative Party Manifesto for the 2015 election, was that if they were elected to power, they would allow UK citizens to vote on whether or not to remain in the EU. To leave the EU, Britain will have to trigger Article 50 of the Lisbon Treaty. British, Irish and Commonwealth citizens over the age of 18 who are resident in the UK, as well as UK nationals living abroad who were on the electoral register in the past 15 years. Citizens from EU countries are not allowed to vote- apart from Ireland, Malta and Cyprus. In total, citizens from over 70 countries can vote. If you are unsure you can refer to the chart below. Leaving the EU would save money immediately, currently, the UK contribute £13Bn to the EU and received £4.5Bn of direct EU spending confirmed by Full Fact "so the UK's net contribution was £8.5bn". However, this does not account for money lost through trade. Being a member of the EU means there are no tariffs on imports and exports between the member states. 50% of our exports go to the EU. Leaving would mean tariffs would be imposed and trading delayed at least. Also under the EU, the UK has positive trade agreements with 53 countries and continents like China and the US. Being a part of a 500M person block gives us more bargaining power. The Leave campaign has said we would be able to negotiate our own agreements once we left, but big business like HSBC and many FTSE 100 companies disagree, saying this would take years and threatening to leave the UK if they left the EU. Open Europe predicts that in the worst case scenario the UK could lose 2.2% of its GDP by 2030 if it left the EU, or could raise its GDP by 1.6% if it negotiates more favourable agreements with the EU. There are some paradoxes involved, such as Britain leaving the EU and becoming a safe haven for investments, but there is a lot of uncertainty and no concrete plans in place for this. A key argument for the Leave argument has been that Britain will maintain its sovereignty and not have to agree with EU laws it does not want. The Remain camp has asserted that we have greater bargaining power within the EU when speaking to countries around the globe and also have the option to veto certain policies we do not want to be part of. Under EU Law any citizen of an EU member state can freely enter the UK and work. Immigration for many is the key reason why the referendum came about in the first place. The ability to control our own borders. There are 4M+ migrant workers in the UK. A common argument has been 2-fold. That immigrants place undue stress on our NHS and Welfare system, and also that they “take” jobs from UK citizens. Are non-UK migrants placing stress on our NHS and welfare system? However, the Leave campaign feels this does not fully quantify the expenses of migrants on the UK welfare system and NHS. Migration Watch puts this figure at closer to £1.2B per year here. Regardless of the figure EU migrants are still cashed positive for the UK. Are EU migrants taking UK jobs or pushing wages down? So what would we have if we left the EU? As spoken about one of the key tenants of being a member of the EU, is the Free Movement of EU National which you can find out more about here. The UK cannot prevent EU Nationals entering, and it cannot be denied that there has been a marked increase in immigration from EU nation states. 942,000 from Eastern Europe, 791,000 from Western Europe and additional 2.93m workers from outside of the EU. A concern for the “Leave” campaign is that the UK cannot sustain such a rapid growth in its population. Also, the strain that this would place on public services and housing. This is valid, however as demonstrated above immigrants are cash positive, and valid solutions should be put into place to provide adequately for working migrants and ensure that those coming to the UK have limited access to our already stretched Welfare system. David Cameron has agreed to some concessions from the EU around benefits which you can read about here. Critics have said the concessions were much less than what was asked for. Immigration has been a central issue and revolves around the premise of whether we are better able to control inflows of migrants inside or outside of the EU while continuing to grow our economy and attract the best and brightest from the EU and around the world. “In a move described by No 10 as "unprecedented", chairmen or chief executives of 36 FTSE 100 companies signed the letter, organised by Stronger in Europe and Downing Street, backing the campaign to stay in the EU, including Burberry, BAE Systems, and EasyJet. The FTSE bosses were among a total of 198 signatories from the business world, including the chief executives of Heathrow and Gatwick airports. However, the supposition from the Remain campaign that 3M jobs would be lost can be seen as unfounded and difficult to evidence. What we do know is that without Freedom of Movement, there would theoretically be more job opportunities for UK residents, but also the skills shortages which already exist in many industries like Finance, IT and Engineering would be further exacerbated. For the Leave campaign, it is true to say that we would be independent once again, regaining control of fishing rights, agricultural policies, and other shared EU policies. However who we would then sell these goods to, and whether we could be price competitive is again difficult to evidence. Without freedom of movement for goods and services, some form of the tariff would need to be imposed, or we would need to engage in trade talks with the EU. Some figures from the Leave campaign say that being a member of the EU, leaves us open to terrorist attacks, due to open borders and no checks and controls for EU migrants. The Remain campaign says that as part of the EU we can share intelligence through Europol, and dealer with larger threats as a community rather than as individual nation states. What happens if the UK votes to leave? We have taken the following from Blackrock’s report on the risks associated with leaving the EU which can be found here. We feel that their summations of the options show how unpalatable leaving the EU would be. “We see four key options: Norwegian deal (non-starter): this would involve full access to the European Economic Area (EEA) as enjoyed by Norway and others under the European Free Trade Association (EFTA). In return, EFTA members contribute to the EU budget and are bound by its ‘Four Freedoms,’ including free movement of people and regulations on working hours, banking and climate change. We cannot see the post-Brexit UK accepting these terms. Plus, EU members would likely veto the UK candidacy to avoid setting a secessionist precedent. Swiss style (unacceptable): Switzerland has bilateral accords that grant it access to parts of the single market but exclude financial services. We see this an unacceptable option for both the UK and EU because of the financial services exclusion and the effort needed to negotiate complex bilateral agreements. The UK also would have to contribute to the EU budget. Turkish trade (unattractive): this would be a customs union, where access to the EU internal market is allowed for goods on a tariff-free basis, but services and agriculture are excluded. We doubt the EU would be keen on including services, given the UK runs a large surplus in that area. We see this as an unattractive option. A strong premise for the Leave campaign has been to move towards a Norwegian deal; however, this has been rebuffed severely in the past week. Most notably by the Prime Minister of Norway, Erna Solberg here. Initially, it will not. If Britain does vote to leave the EU, there will be a period where negotiations will need to take place with the UK and EU and non-EU member states. First of all, clearly we would not have a situation of mass deportation and unrest. Irrespective of whatever happens the UK must maintain its reputation as a global country and be welcoming of all migrants within its borders, just as EU member states will negotiate what to do with EU nationals within their own sovereign borders. There are currently 3.3M EU nationals in the UK and 1.2M British citizens in the EU. 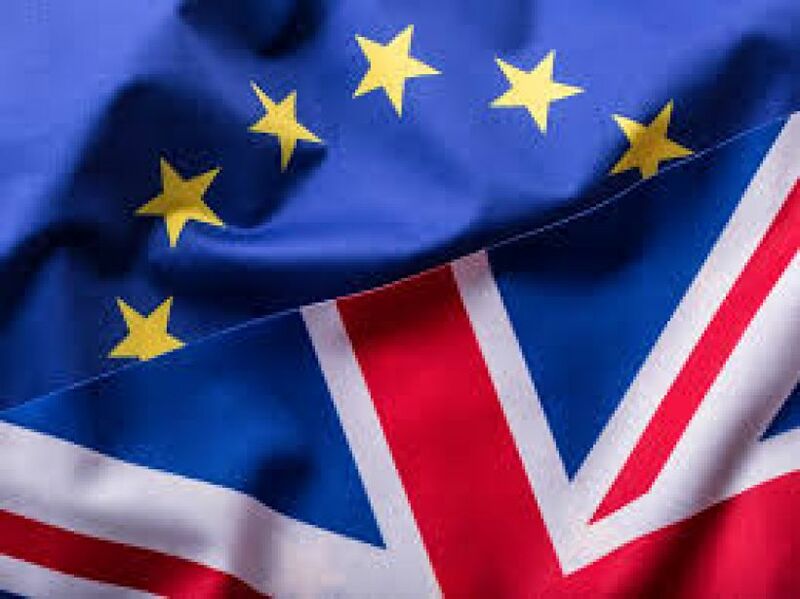 We do not feel that non-EU nationals will be affected in 2016 irrespective of the result as the most pressing concern for the British government will be the interplay between themselves and EU member states. In terms of finding a job, this is uncertain. Many large companies like HSBC have pledged to move their operations abroad if a Brexit was to occur, but we cannot speculate on which companies would and how this would occur. We can only surmise that you should continue seeking gainful employment with the same efforts. How can I prepare for this and what is my next step? Believe that we are better together and encourage anyone who can vote, to vote for us to stay in the EU. There is little you can do to prepare for the Referendum apart from keeping up to date with the news. Your next step should be to begin your applications for the 2017 graduate schemes. If you need help or advice please feel free to contact us here. There are few who believe that the EU is a perfect system, but then no block which represents 500M people is going to be. CIUK believe it is better to be the change from within than to try to change from outside.